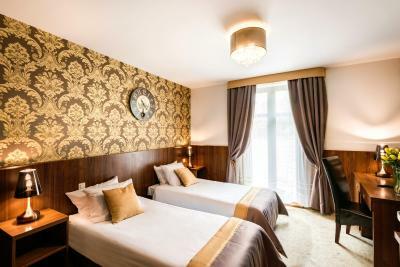 Lock in a great price for David Boutique Hotel - rated 8.5 by recent guests. 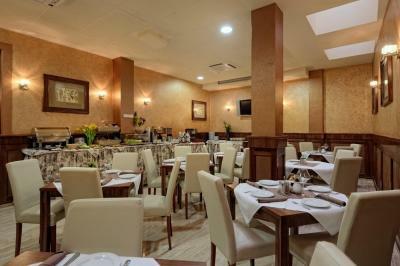 Excellent value for money, wonderful breakfast & in an ideal location. Stayed here before & will stay again. The hotel is in an ideal location. The staff were very friendly and helpful. Breakfast was good, good value for money. Staff were lovely, always on hand to answer questions. Breakfast was lovely, rooms were clean, cosy & bed was comfortable. Noise pollution wasn't over whelming & gave you the feel that everyone was out having a good time but not enough to disturb your sleep. Hotel building itself was very calming & relaxed. 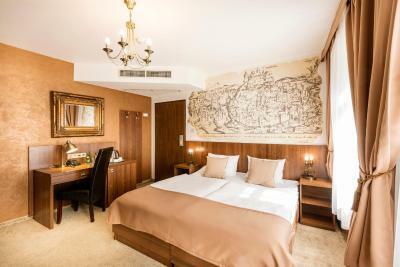 Excellent location in the beautiful Jewish Quarter, only a 10-15mins walk to the main square. Hotel itself has a nice décor and has a very cosy vibe. 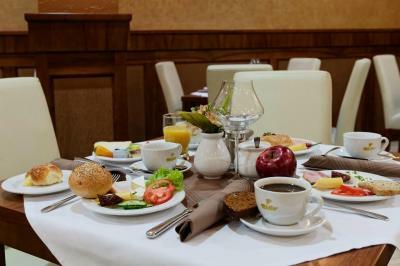 Also a very good continental breakfast included, set us up great for each day. We stayed in January and although it was cold (-6) with snow on the ground and the weather dry, it made the city stunning to walk around. The staff was kind and the hotel is in a very nice area. Staff were very nice and friendly. Great Location. Breakfast was delicious and lots of it. The hotel was close to everything, and had great wifi. First time to Poland, and it won't be our last. Beautiful beautiful place. One of our bestsellers in Kraków! 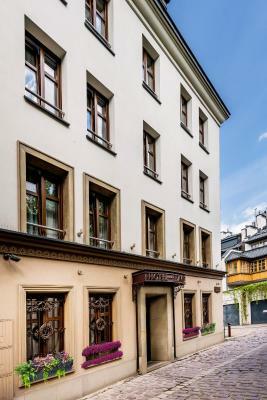 Situated in the centre of Kazimierz, Kraków’s Jewish district, Hotel David manages to combine a central location with quiet rooms. Free Wi-Fi is available in the entire hotel. 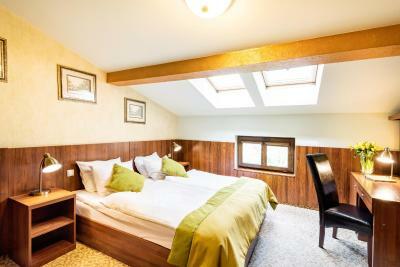 David’s rooms feature wooden furniture and an elegant interior design. 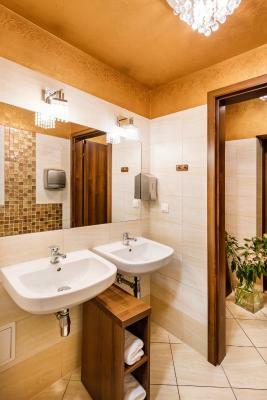 Apart from a bathroom with a shower, all rooms have a flat-screen TV, air-conditioning and a refrigerator. An electric kettle is also provided. A breakfast buffet in the mornings at David Boutique Hotel. The Old Town’s Main Market is located 0.9 miles away, and the Wawel Castle is 0.6 miles from the hotel. The Kraków Główny Railway Station and Galeria Krakowska Shopping Centre are 1.1 miles away. 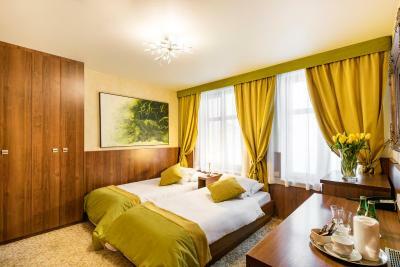 David Boutique Hotel has been welcoming Booking.com guests since 12 Nov 2009. 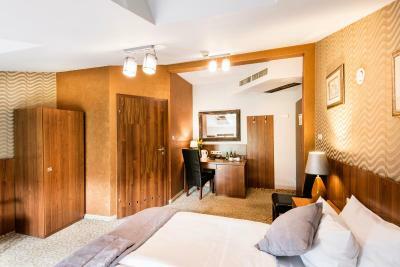 When would you like to stay at David Boutique Hotel? 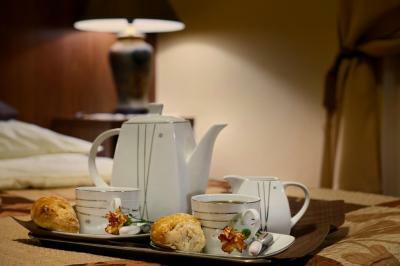 This air-conditioned room offers tea and coffee facilities and an LCD TV. 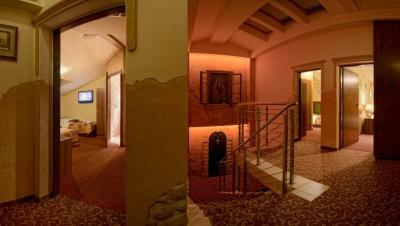 There is also a minibar, a safety box, mineral water and WiFi provided. 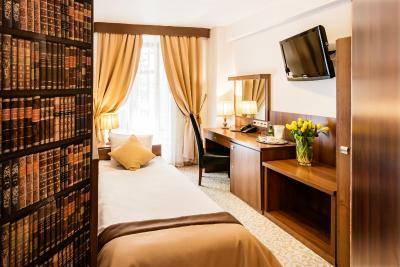 David Boutique Hotel has a great location in the fashionable Kazimierz district, with easy access to the Old Town and all the must-see attractions of Kraków. The exceptional ambience of our hotel can be enjoyed in one of our elegant rooms equipped with all you need for a comfortable stay, or in our restaurant where you’re welcome to savour delicious breakfast. 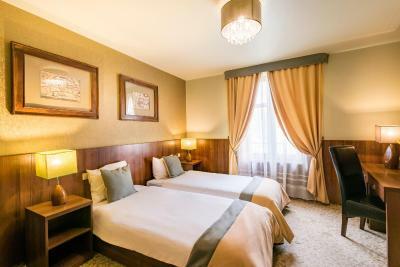 Hotel surroundings – This neighbourhood is a great choice for travellers interested in restaurants, food and history – Check location Excellent location - show map Guests loved walking around the neighbourhood! House rules David Boutique Hotel takes special requests - add in the next step! Other David Boutique Hotel accepts these cards and reserves the right to temporarily hold an amount prior to arrival. David Boutique Hotel accepts these cards and reserves the right to temporarily hold an amount prior to arrival. Please note that parking is available in a garage. A couple of the friends that travelled with us, said there wasn't a lot of room around the bed, but all the other facilities were excellent.. The sink in our bathroom was very cracked, there was sometimes a foul smell from the drains in the bathroom which filled the whole room. We didn’t spend a lot of time in our room other than to sleep but at times the smell was quite over powering. Bit of a sewer smell that came into our room just the one time from the shower plug hole. would have been nice to have an iron & ironing board in the room. There was only sparkling bottled water & no still water. The only inconvenience was that on TV were only polish programs. Even films in ENG were doubled and subtitled.